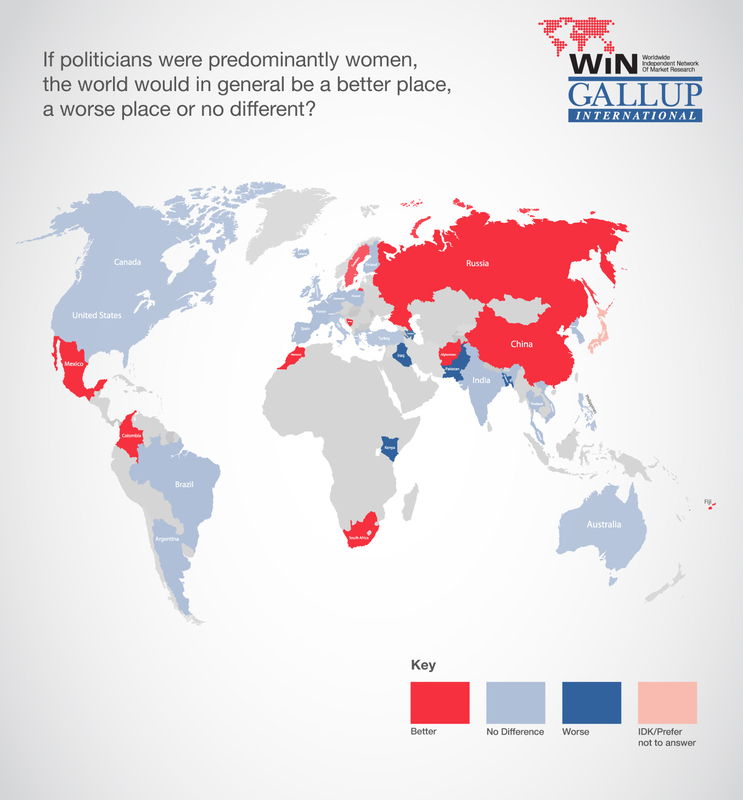 World a better place with predominately women politicians: says a third of respondents to global poll. A global poll, conducted by WIN/Gallup International, the leading association in market research and polling with RED C Research as the Irish member, has revealed that over a third of respondents believe the world would be a better place if politicians were predominantly women. The Irish people are more likely to agree than the world average, with 39% stating that if politicians were predominantly women, the world would in general be a better place? MENA (34%) was the region with the highest response rate for believing the world would be a worse place if politicians were predominantly female. Colombian participants had the highest response rate (62%) in the category saying more female politicians would have a positive impact on the world.